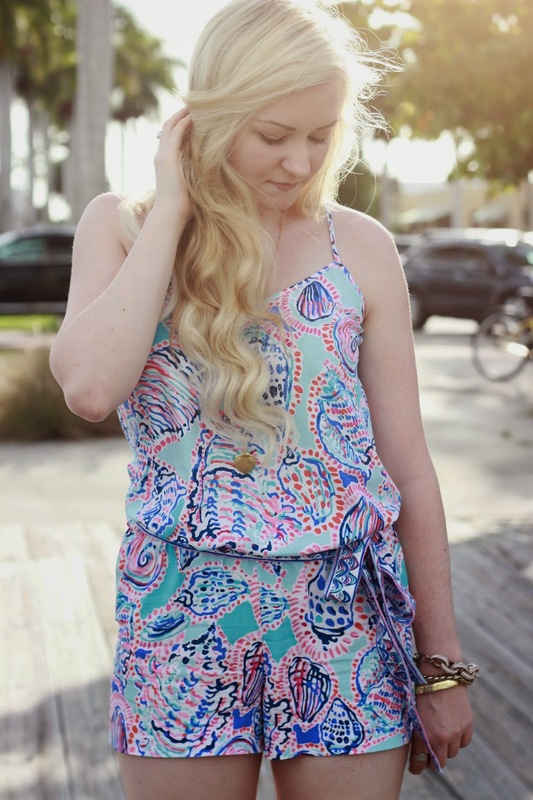 This "Shell me about it" print is definitely one of my favorite Lilly prints for summer. 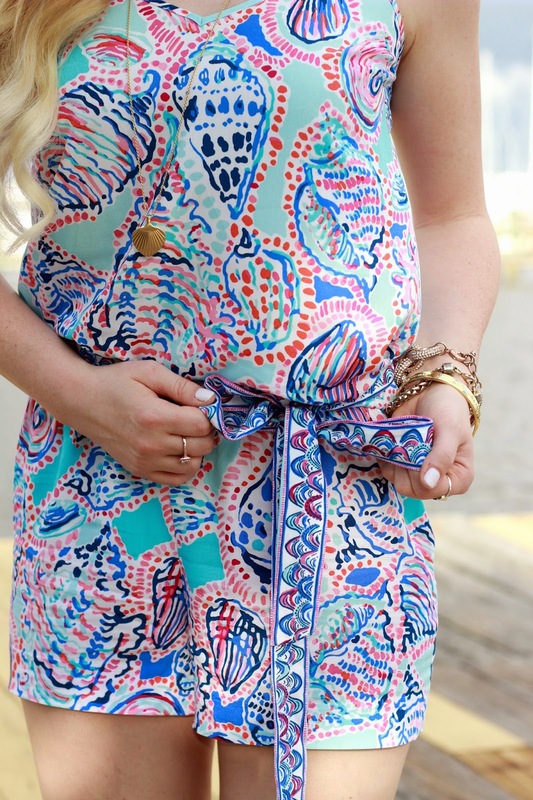 I love the fit & the material of this dusk romper & that the tie is a different print. Just yesterday, I tried out a new shellac nail brand & color. I did a DIY shellac manicure using OPI's "Funny Bunny". I applied 3 coats & I love the result! Read my DIY shellac tutorial here. I love that print as well! It looks great on a romper too, and I love that necklace! Love that romper and jewelry! It looks so nice on you!